However, according to William Gale, a co-director of the Tax Policy Center in Washington D.C., “[The Clintons] are paying a much higher rate than, say, Mitt Romney did in 2012 or Warren Buffett does, because those people’s income is all in the form of capital gains. 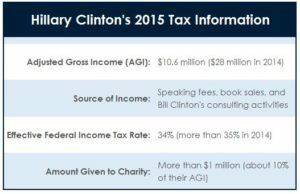 The way the Clintons made their money last year translates to their high tax rate.” Capital gains are generally taxed at a lower rate. 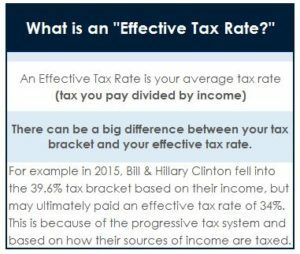 It’s difficult to tell now if the American citizens will care or not about her generally high effective tax rate. It will certainly be up for discussion over the next few months. 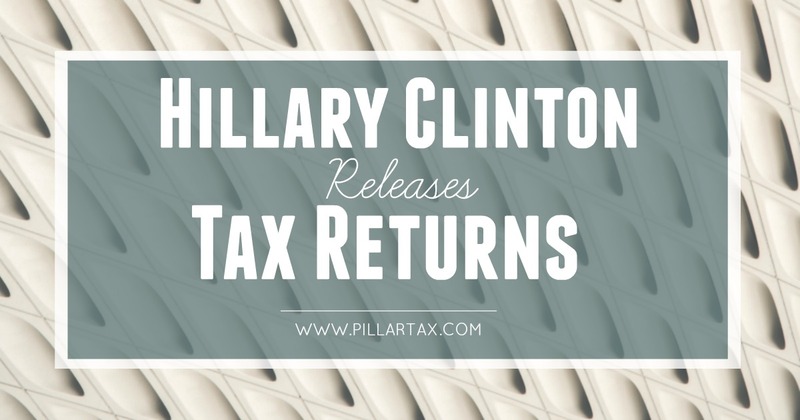 Make sure to check out next week’s article entitled “Why Do We Care About Politicians’ Tax Returns?” The article will shed some light on why the media and Americans scrutinize politicians and make voting decisions based on the candidates' personal finances. Why Do We Care About Politicians’ Tax Returns?